Built in 1879, The Mountainside Inn has been a historic landmark in the Boyne Falls area for more than 125 years. The recently renovated Inn has original hardwood floors and charming rooms that invite you to relax and unwind after you have immersed yourself in the outstanding activities available in one of the most beautiful and popular areas in the nation. The Mountainside Inn, a popular lodge near Boyne Mountain for more than 50 years, caters to ski groups, small businesses, families and friends. The Inn has five separate, spacious, comfortable bedrooms, a large living/gathering room with a big screen television, a dining room and a fully equipped kitchen, and an outdoor hot tub. Each bedroom is equipped with private bathrooms and cable TV. The Mountainside Inn is perfect for families, large groups, or wedding parties, and can accommodate groups up to 20. It is also a favorite of corporate team- building groups who enjoy using our comfortable gathering room and dining room as meeting spaces. Snowmobile rental is available on site. Snowmobilers can start at the door of the Mountainside Inn and access over 500 miles of pristine, groomed snowmobile trails. Boat and jet ski rentals can be delivered to any of the area lakes during boating season. Other recreational equipment is also available. Whether you are skiing, snowmobiling, fishing, boating, golfing, or just looking for a cozy getaway or unique meeting space, the Mountainside Inn is a perfect home away from home! 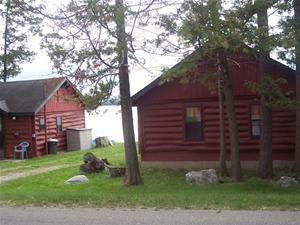 Come stay and play at our Mountainside Cabins on Deer Lake! 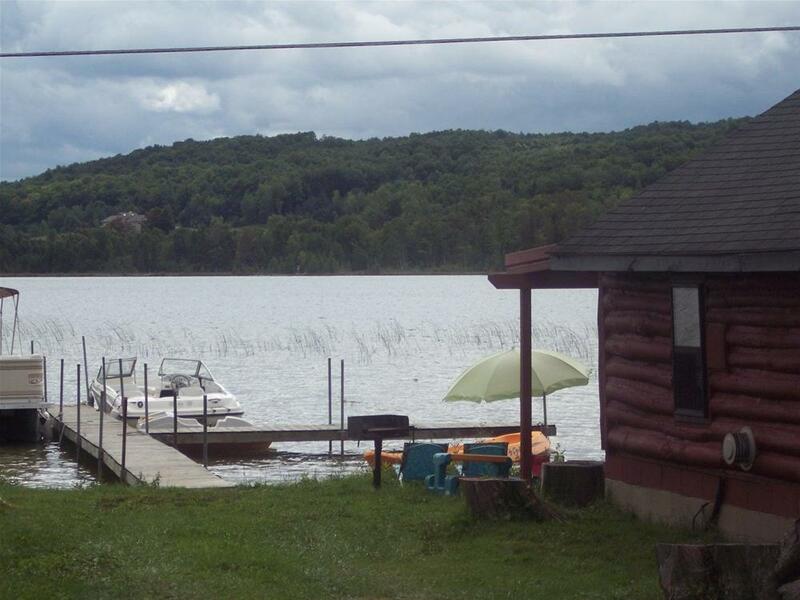 Deer Lake is the perfect lake for kayaking, water skiing, tubing, jet skis, fishing or just relaxing by the shore. Cabin 1 has two bedrooms (full size beds) and is decorated with a nautical theme. The view from the kitchen table makes you feel like your on water. Cabin 2 is our"PotteryBarnesque" cabin with two bedrooms. One room has a full size bed and the other has bunk beds (1 full bed/1 twin). This cabin is decorated with warm yellows, reds and blues. 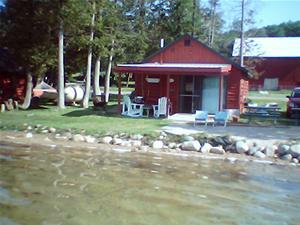 This is generally the "host" cabin where friends and family staying at the same time gather at. There is a sliding glass door that opens to a covered deck on the lake side of the cabin. Cabin 3 is a spacious 1 bedroom and larger bath cabin decorated in a fishing theme. 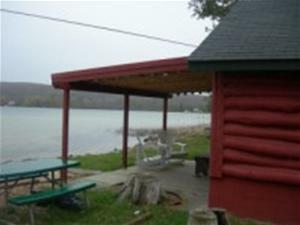 All cabins have picnic tables, chairs, grills and dock access right outside your cabin. The lake is very shallow near shore. Perfect for young children. Deer Lake is about 30-40 ft in the middle and categorized as an "all sports" lake. Fish right from the dock or take one of our kayaks or row boat out to discover your own perfect spot. Complete your vacation with a boat rental. We provide free delivery of personal watercraft , pontoon and speed boats. Dock your rental boat right outside your cabin for a day or your entire stay! Entire facility including outdoor hot tub and deck. 5 bedroom/6 bathrooms with a total of 12 beds. Accommodations for up to 16 people. Linens and towels are supplied along with a fully equipped kitchen and coin operated washer and dryer. $599 per night (two night minimum).